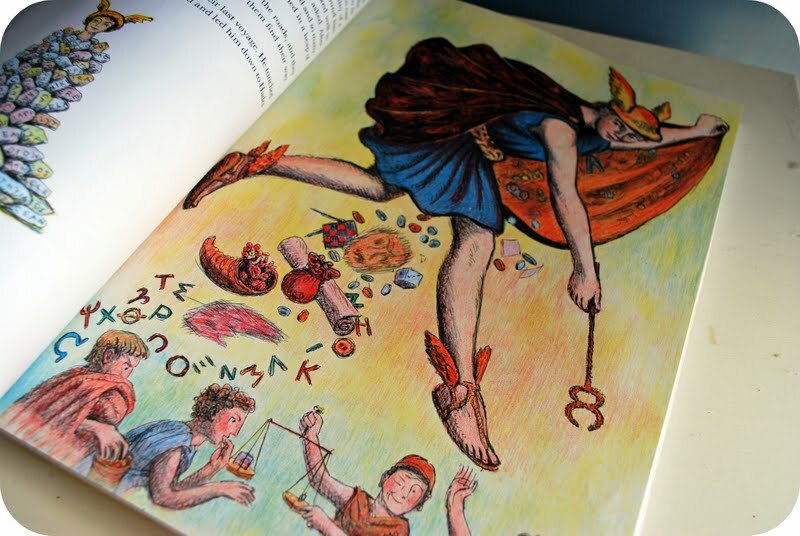 I fell in love with Greek Mythology when I was in first grade--I actually learned to read using early reading workbooks that contained simplified versions of Greek myths. I became such a mythology nerd, I had a poster of mythological creatures hanging over my bed in 3rd grade, and for my 6th grade special project, I made a hallway long mural that I drew of Greek gods and monsters (yes, uber-nerd, might be more appropriate). I even carried this love into college where I briefly became a classics major and studied the ancient Greek language, and ancient history, as well as literature. Suffice to say, there is a reason I was attracted to this book, D'Aulaires' Book of Greek Myths by Ingri and Edgar Parin D'Aulaire. I gave this book to Beeper as a gift this past year. Each night we read a several stories--sometimes several more than we should have as we pushed out bedtime in order to read one more. Usually, Beeper falls asleep while we are reading--he never fell asleep while I was reading this book. Almost as soon as we finished the book, he wanted to read it together again. The way I see it, either my love of Greek mythology transferred to him genetically, or this book is just really good. Probably the latter. 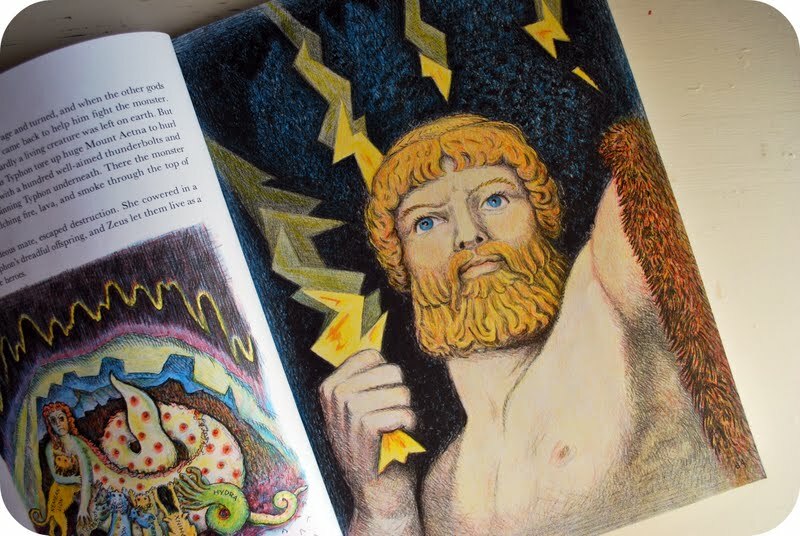 The illustrations are a-freaking-mazing--lush and color-filled and even the bronze or black and white illustrations are clamoring with detail. 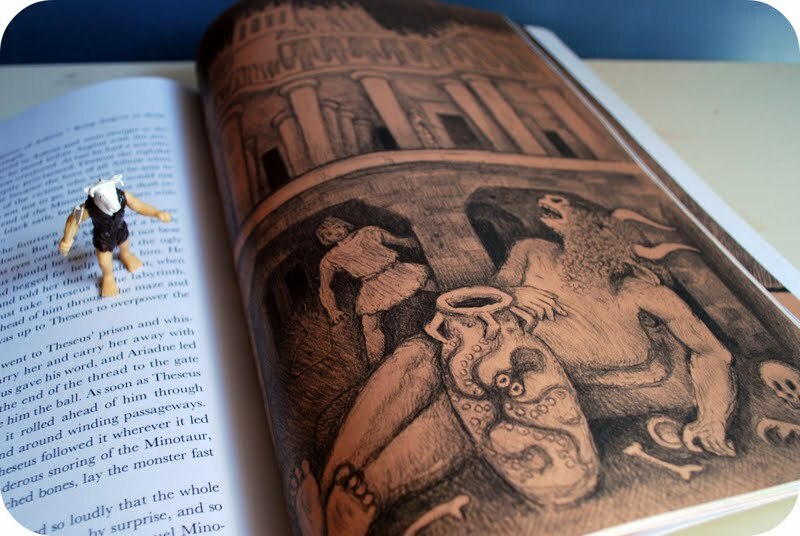 Beeper and I would spend long quiet moments just examining the illustrations together before continuing to read the stories. 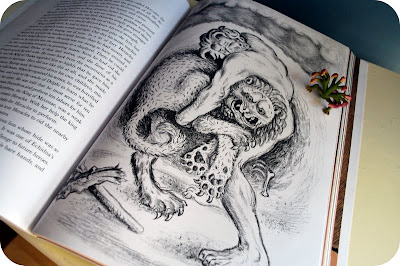 The illustrations by Ingri and Edgar D'Aulaire, are truly works of art in and of themselves--both European born, they used an old-world, labor-intensive process of stone lithography which involved tracing their images on slabs of Bavarian limestone, which then produced the extraordinarily vivid illustrations you see in the book. The writing of the myths themselves is perfectly balanced for a child--they are faithful to the myths themselves, revealing the gods and goddesses' might as well as their very-human-like pettiness and other foibles--while balancing just enough detail with just the right amount of action. Beeper loved learning about each of the Olympian gods and goddesses and how they came into being (Athena emerging fully formed from Zeus' head during a headache, Venus arising from the sea on a cushion of seafoam), the great powers of the gods that once helped to explain natural phenomena to the ancient peoples (Zeus' lightning bolts forged by the Cylcopes, Persephone's return from Hade's underworld and to her mother, Demeter, precipitating the return of spring), as well as about the mortal children of Zeus, many of whom are the heroes of mythology (Perseus who cut off Medusa's head, Hercules and his 10 labors, Theseus who slayed the Minotaur). This is just good stuff. Reading this book with your child will add a whole new layer of understanding to the world around them as our world is rife with references to Greek mythology--in classical and modern art, in great literature (Shakespeare) as well as popular books (Percy Jackson), in movies, and in popular phrases (Achilles' heel)--and suddenly Beeper catches and recognizes this stuff everywhere. 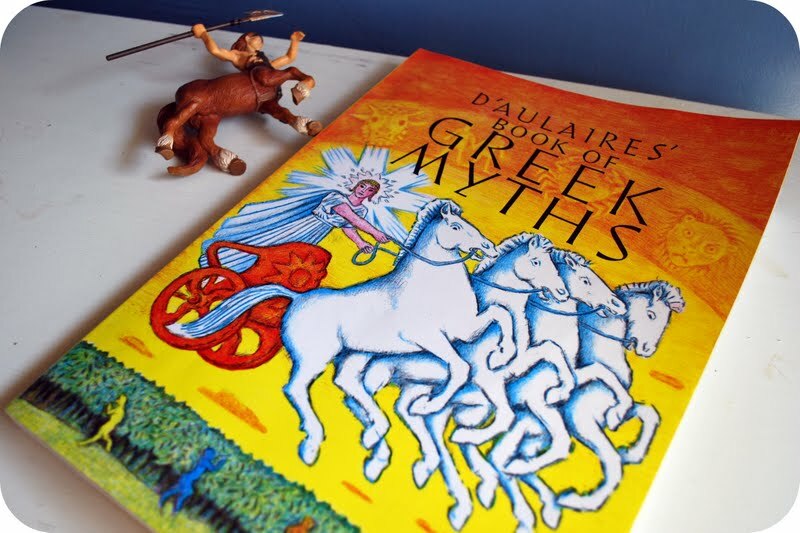 Whatever the case, you can find D'Aulaires' Book of Greek Myths here for just a little more than $12. 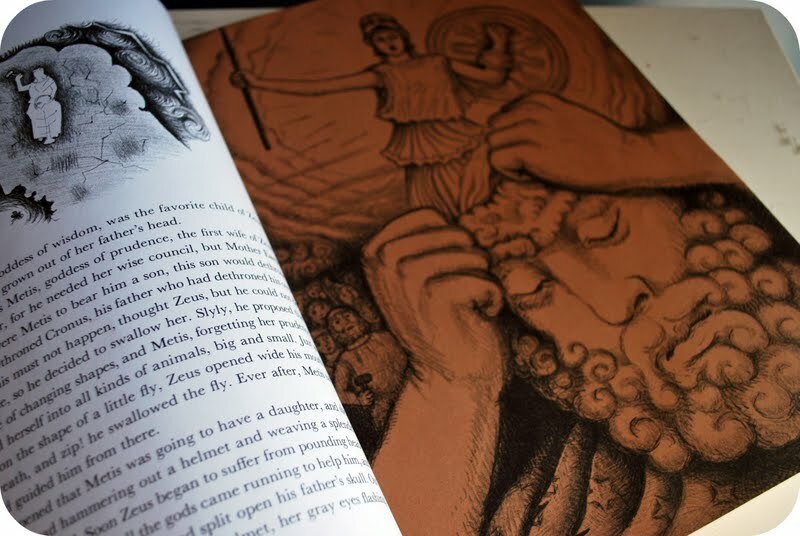 It is a nice large format, measuring about 9x13 inches, and contains everything you ever wanted to know about the Olympians, the minor gods, and their mortal children. Who knows? Maybe Beeper will one day be the classical studies major I never was--or maybe he will just have an abiding love of Greek mythology his entire life, just like his nerdy mama. LOVE this book - and I loved rediscovering it with my daughter last year. The Norse one is also fabulous - their mythology is so different from the Greeks! Jacqui--they have a norse myth book by the same authors that are part of these series of books. I have not read it but you should check it out. 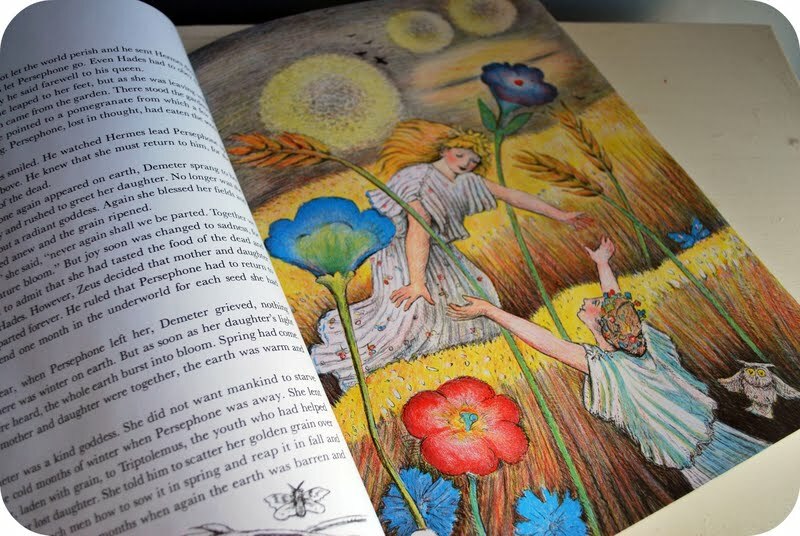 I went to sleepy this bookforat least 10 years of my childhood. I still have it- and it's the original hardcover version from 1967, a gift to my own mother when she was a child. Thank you or posting about it, I think it's time to drag it out for my own daughters! We love this book too. In fact, we have most (if not all) of the D'Aulaire's books - the illustrations are amazing and the technique they used is interesting to learn about. I'd completely forgotten about this book. I used to stare at this thing for hours when I was younger. It was so pretty and started my brief Greek obsession too. I'm buying it for my nieces and nephew (and me) soon!